Filipino hospitality is well-known throughout the world, a fact highlighted when the country again became the first member from the Association of Southeast Asian Nations (ASEAN) to signify its willingness to help the boat people of Rohingya. Such kindness has been the country’s trademark not only during the last century but extends all the way to the Spanish colonial era. Long before the country helped out the Rohingya, the Vietnamese, the White Russians, and the Jewish people, it gave Japanese Christians fleeing religious persecution from their homeland in the 1600s a place to stay. During that time, Japan’s official policy on Christianity pitter-pattered. 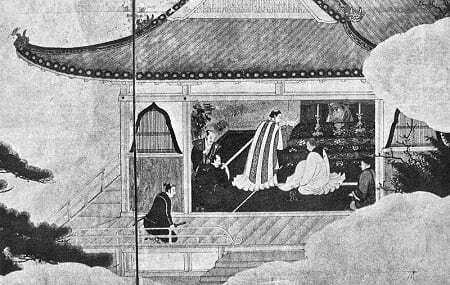 While distrustful of the foreign missionaries’ colonial designs, the Japanese rulers tolerated them due to the lucrative trade they brought along with them. Hence, periods of tolerance were mixed with periods of persecution. Celebrating A Christian Mass In Japan. From Wikipedia. Then, in 1614, the Tokugawa Shogunate signed the Christian Expulsion Edict which effectively banned further proselytizing and practice of Christianity in the country. 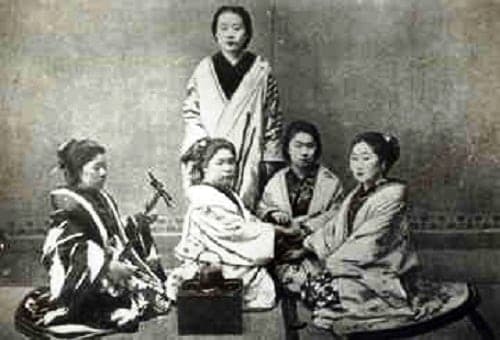 Foreign missionaries were expelled and Japanese Christians were forced to renounce their faith or executed. 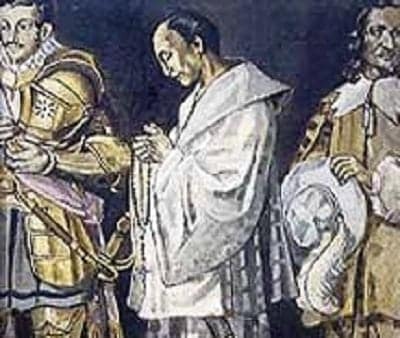 Against this edict, one Christian daimyo named Don Justo Takayama Ukon along with his family and 300 other Japanese Christians chose to leave their homeland and come to the Philippines in December 1614. Known as a hardened warrior who later became a dedicated follower of Christianity upon his conversion, Takayama rebuffed Tokugawa’s predecessor Toyotomi Hideyoshi’s order to renounce his faith and instead said he was prepared to give up his fiefdom and position for it. Justo Takayama Ukon in Manila. 17th century painting. Source: Wikimedia Commons. However, rather than risking a public backlash of martyring the popular Takayama, Hideyoshi chose to exile him to the faraway southwestern island of Kyushu for some years before summoning and keeping under close watch in Japan’s old capital of Kyoto. His successor Tokugawa also thought it wise not to martyr Takayama and was supposedly relieved to hear he had left Japan for good. Upon his arrival in Manila, Takayama was heartily greeted by Spanish officials and was even offered a chance by the colonial government to participate in a plot to overthrow the shogunate under the guise of protecting the Japanese Christians. 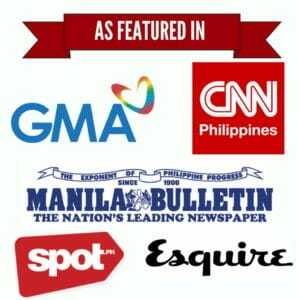 However, he declined and succumbed to an illness a mere 40 days from when he first arrived in Manila. 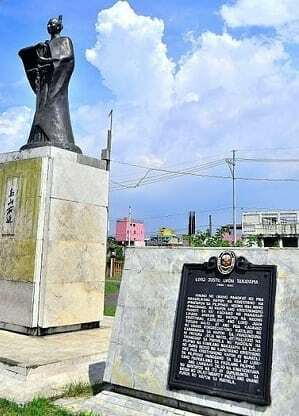 Statue of Japanese “samurai” Ukon “Justo” Takayama that stands at Plaza Dilao in Paco. Source: Wikimedia Commons. Takayama was later buried in a Jesuit church while his family lived with the rest of the Japanese settlement in Dilao, Paco, Manila where they were ministered to by the Franciscans and kept under close watch by the Spanish authorities just as the latter had done with the immigrant Chinese population. Due to his piety, Takayama will reportedly be beatified by the Vatican in 2016.